By graduation, these Oregon students must be able to show how to admit a medical mistake, deliver a death notice and talk effectively about other fraught issues. “They’ll stand in the doorway and say something like, ‘You need to call a funeral home,’” Tolle says. Part of the problem is that, in the past, aspiring doctors were taught too little, too late about difficult communication and its nuances, says Tolle. At Tolle’s urging, the OHSU officials revamped the medical school curriculum to include new lessons in — and standards for — communication, ethics and professionalism woven through the coursework, says Dr. George Mejicano, the senior associate dean for education. But Dr. Mark Siegler, director of the MacLean Center for Clinical Medical Ethics at the University of Chicago, who closely follows communication issues, says he believes OHSU’s approach is new. Hayes, the OHSU medical student, says she and her fellow students were nervous before the recent exam. But the practice with “standardized patients” — actors trained to portray people undergoing medical care — was crucial to understanding the right way to talk to families in a real-world situation. “You realize you have this horrible information they don’t have yet,” she says. Hayes did quite well and passed the test, Tolle says. So did most of the other OHSU medical students. But several — she wouldn’t say exactly how many — will need remedial coaching and testing before graduation. Some of those students failed to introduce themselves properly or to find out what the family member had already been told, Tolle says. Instead, they bluntly announced they had bad news and quickly added that the patient was dead. This year’s test is a first step, Tolle says. It will be reviewed and refined for future classes. Students who need help will get it. 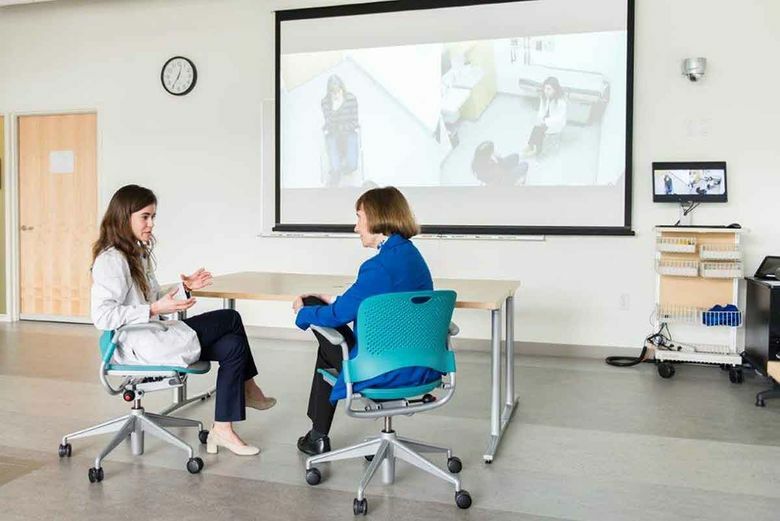 At the same time, OHSU faculty will be offered sessions to help improve their communication skills so they can model what students are taught. The long-term goal is to raise the bar across the profession, says Tolle, who’s had some practice shifting paradigms. She’s the co-creator of the Physician Orders for Life-Sustaining Treatment, known as POLST, a document credited with revolutionizing end-of-life instructions across the U.S. In the same way, Tolle says, the culture of communication among doctors can change, too, starting with the latest generation.